Hindustan-by Backpackers Heaven i New Delhi, Indien: Reservér nu! 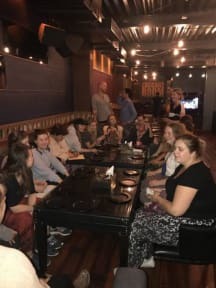 Hindustan- by Backpackers Heaven is located right in the center of New Delhi, within walking distance to New Delhi Railway station, City Centre (Connaught Place) and 5 Minutes walking from Rama Krishna Ashram Metro station. 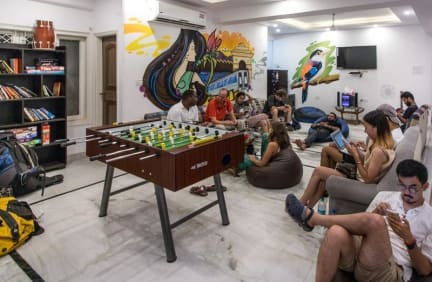 This hostel is backpacker’s heaven with multiple connectivity options. Free High Speed Wifi / LCD TV with International Channels / Wardrobe. Apart from this, we have a spacious common room to share your travel stories, love stories, play cards, carom,etc. This is the highlight of our hostel, do spend time here to share the tales of incredible life. We know India inside out, if you need any assistance in planning your trip beyond Delhi. So come over, live India, Live Delhi and Share unconditional Love because what you seek is seeking you. 2. Children above 10 would need a new bed. Children below 10 years of age can stay with their parents/guardians for free. 3. We have 24hrs reception. 5. AC's will only work from 9 pm to 11 am in dorms. 7. Extra bed can be added to the room with an extra charge of 500 INR.